Cleaner Tottenham is a leading provider of professional end of tenancy and move out cleaning services in Tottenham, N17. Call us for a quote! 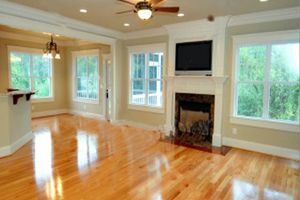 If your tenancy is coming to an end, then you will most probably need to perform end of tenancy cleaning. And many agencies or landlords require professional service to be carried out for the purpose. Luckily, we are here to help you. Cleaner Tottenham is extremely proficient in the provision of end of tenancy cleaning all around London and more particularly in Tottenham N17. You need to know that our cleaners will take care of the whole place and will make it immaculately clean. We are ready to deliver our first-class service any day of the week and at the most convenient for you time. In other words, our cleaners will make sure that the property is brought back to its original condition before they leave it. Thus, it will be ready for its new tenants and you will surely receive back your housing deposit from your landlord. So, do not waste any more of your precious time and book our end of tenancy cleaning now. Thus, you will be able to arrange all other things that moving out involves. You will be delivered the service any day and any time of the day you need. And we cover all addresses within the territory of London, including Tottenham N17. Check our price rates and book your service. Call us and book your services.